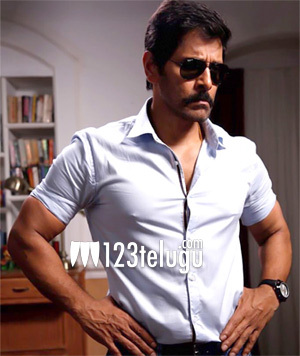 It is a known fact that star hero, Vikram’s new film has gone on floors recently. The cop drama is the sequel to his hit 2003 film Saamy. Many were of the opinion that the film’s title is Saamy 2 but there is a twist in the tale and the makers have now named the film as ‘Swamy Square’. The makers say that there is a particular reason as to why this film has been named Swamy Square and this will be known only when the film releases. Trisha and Keerhty Suresh play key roles in this film which is being directed by Hari. The film will also be released simultaneously in Telugu and DSP scores music.